An historic 1828 nine room country inn in the Green Mountain National Forest (Ripton). Independent, family-owned and run motel. Our friendly atmosphere and cozy accommodations have often led us to be compared to a bed and breakfast or an inn. Enjoy the best of Vermont on Lake Champlain right next to Basin Harbor! A beautifully renovated 1900's cottage. Four room B&B located 3 miles south of Middlebury College. A 1816 farmhouse, comfortable airy rooms w/ baths, organic/local breakfast, and great views. 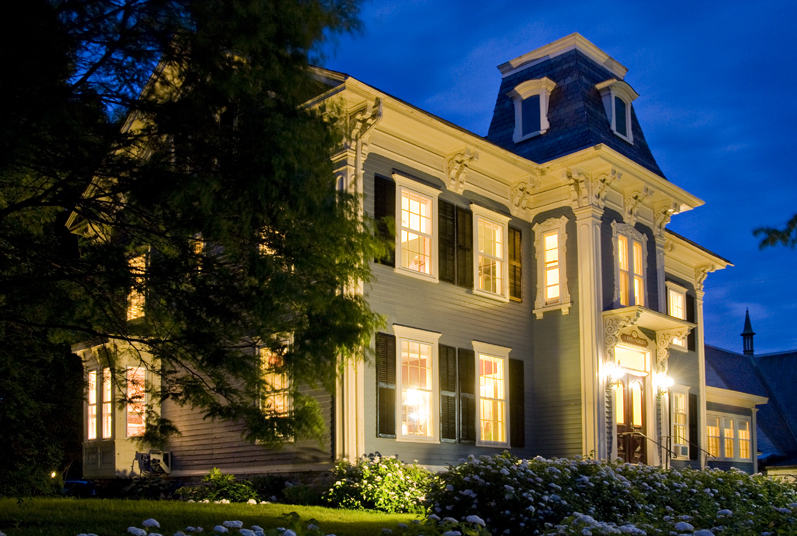 Comfortable lodging and unpretentious fine dining since 1810. 13 modern guest suites are filled with elegant and charming details from Vermont's past. Handsome, renovated 1827 Federal-style house on Otter Creek. 15-20min walk to college or town center. A majestic estate echoing the era of industrial wealth. Minutes from Lake Dunmore, Neshobe River, the Long Trail, Brandon, and Middlebury. Biking, hiking, hunting, fishing and watersports. A Bed & Breakfast and peaceful retreat in a restored 18th-century farmhouse and contemporary guest house overlooking the Adirondack Mountains and farmland. Close to Middlebury and Lake Champlain. 12-room secluded Country Inn offering 4-season activities with XC skiing, hiking, and biking trails. Breakfast included. Four Course dinner available. The perfect blend of modern comfort and classic historic charm since 1827 with all of the amenities of a full service hotel including fine dining and pub fare in our Morgan's Tavern. Very close to Middlebury. Private yet accessible, great view of the mountains. 2 bedroom cottage, great for short or long-term stays. Within easy driving distance of most major ski resorts, Burlington and Middlebury. Charming, artisan-crafted timber frame cabins overlooking the Green Mountains. 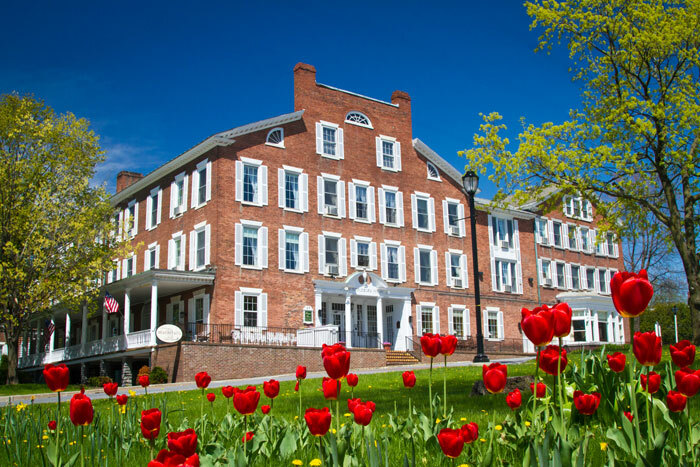 Surrounded by nature and offering all of the contemporary comforts, we are conveniently located near Middlebury. Offering seasonal, market-driven cuisine, French country fare with an American twist. 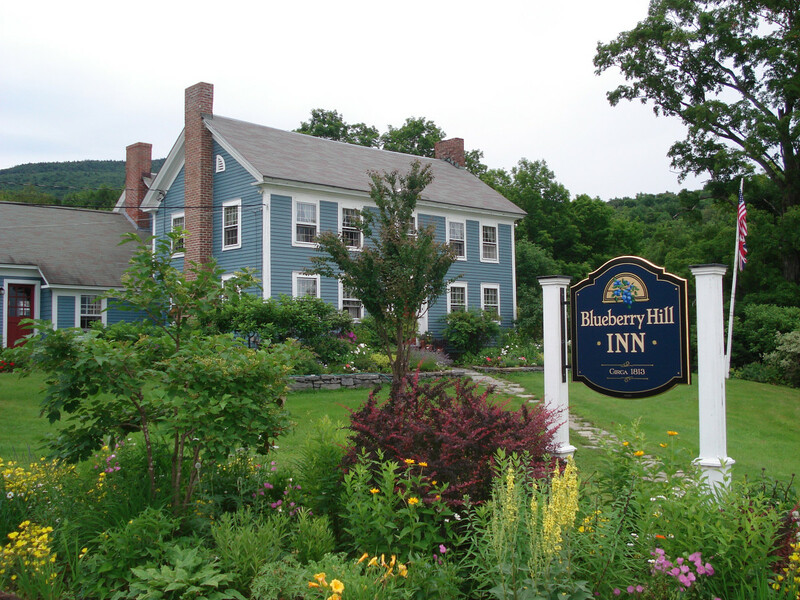 Our Inn has three elegant, recently renovated rooms, with gorgeous views of the Green Mountains. FAMILY / REUNION / RETREAT / R&R Kom og ‘hygge’ i alle årstider. Limited availability in September and October at one of the premiere locations on beautiful Lake Dunmore. This idyllic summer cottage has water on two sides. Lovely in town, 3 bedroom Middlebury home available to rent for special Middlebury College weekends. 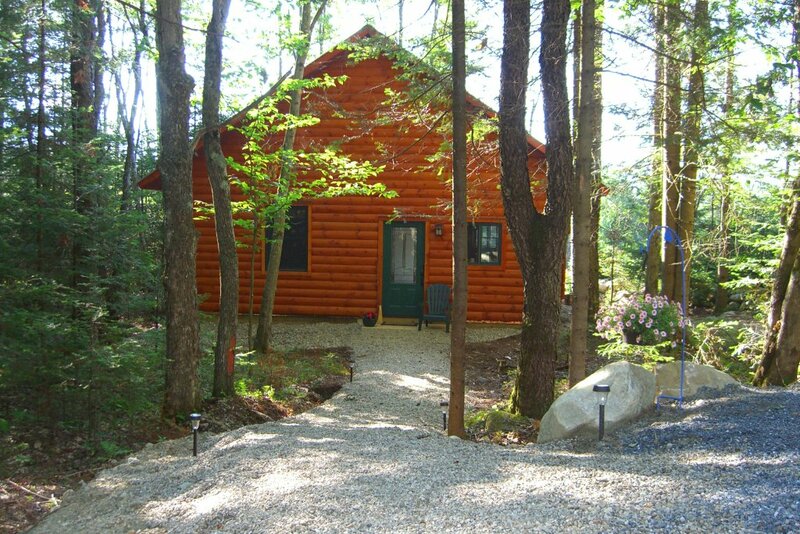 Peck's Guest House is a newly constructed, year round, vacation rental home located on the west shore of Lake Dunmore. This property has it all: the location and amenities can not be beat. Nestled in the middle of 6 acres of pastoral beauty, it is surrounded by perennial gardens, maple groves, berry bushes and a rambling old stone wall.